Online shoppers are wild about free shipping. 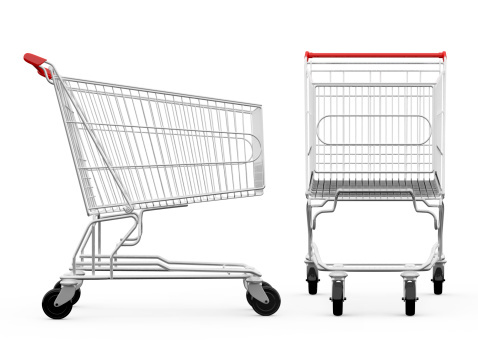 A recent study by ComScore and UPS found 58% of digital shoppers would add additional items to cart to qualify for it. To encourage this behavior, a popular and effective merchandising tactic is to show visual feedback on the cart page with the dollar amount the customer is short of qualifying for free shipping. While this is a great carrot to keep customers clicking through your site, it creates friction for the customer. It’s the opposite of “don’t make me think” — the customer now has to think what else they might want, begin a clunky process of navigation or search and discovery (even more tedious on mobile), and find something they didn’t necessarily come for, but falls close to that dollar amount they need to hit. Surprisingly, I’ve never seen an online shop use cross-sells in the cart that are selected for and positioned as no-brainer cart-qualifiers. What if cross-sells were selected to be populated with items that are contextually related to the customer’s journey (keywords searched, items viewed, categories browsed, past purchases, etc), or that have an affinity to items in cart that fall within $0 to $10 of the amount needed to qualify for free shipping? The above mock-up reinforces the dollar amount (so the customer doesn’t have to keep mental note), and supports one-click add-to-cart, whether served inline on the cart page or in a lightbox pop-over. The merchandising zone could also link to “view more suggestions” with a page populated with a larger variety of quick-win add-ons that all fall within the range +$0-$10. The caveat to this strategy is basket size may ultimately end up lower, as it encourages just making the threshold, versus adding something more expensive. Should your analytics support it, you could A/B test this strategy against a generic control to measure the impact on basket size.